If you’re someone who loves to be creative and want to make an impression by hosting unique children themed parties then you’ve come to the right place! 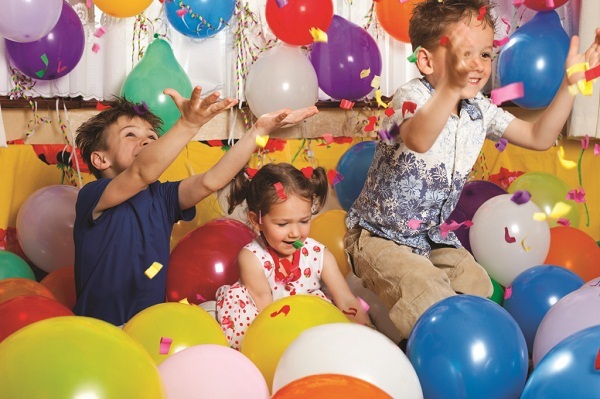 You will find in the list below a set of 4 most unique party themes out there that will not only make your little one squeal with delight but also make you the talk of the town. This may sound like a no-brainer but having an outdoor camping theme complete with tents and firewood (with red paper attached to it to make some fake fire), will be enough to delight the little ones when they arrive. They will be able to hear stories while seated around the “campfire” and pretend that they are actually camping. Of course, no party is complete without cake so make sure you bake one that has the same childrens themed parties to make it all work together! The film “UP” by Disney garnered huge success in both local and overseas theatres. All kids love the show simply because of the colorful balloons and the thrill of adventure that is portrayed in the movie. That is why if your kids love the same movie, you should decorate your home with the same theme as the movie, complete with special cake and other related entertainment movies! You could even have the movie playing while everyone is inside the house so all the kiss can enjoy it again together. There is no child on Earth who doesn’t love running with a kite and flying it, even more so if it’s the child themselves who made it. That’s why you can host a party that Is both fun and offers them an opportunity to learn how to make their very own kites! You can stock up on things like glitter glue an ribbons for them to decorate their cute creations with but importantly you need to be able to teach them how to make a kite that can really work. Otherwise, they will only be left disappointed. Once that’s done, you can take them all out to a big field nearby and have them start running around, trying to get their kites soaring in the sky. Nothing beats the pleasure of seeing happy smiling faces and hearing their joyful laughter as they play together. Kids will love a Mario and Princess Peach theme because the video game franchise is known to have a cute plumber rescuing a princess and with plenty of colorful mushrooms along the way. Boys can dress up as little Marios and girls can do the same with Princess Peach costumes.